The holiday season has always been my favorite time of year. There’s just something about it that makes me giddy – it probably has something to do with twinkling lights, soft falling snow, and warm and fuzzy feelings. I’m looking forward to this time of year even more now that my husband and I have a daughter that we can enjoy all the joy and wonder that this season has to offer with! If you love the holidays just as much as I do, you probably have a long list of activities and events that you want to get to before it’s all over and you have to wait another year for Santa Claus to come back to town. 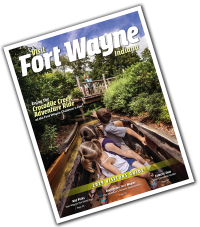 While it’s hard to narrow down, here is my personal Top 10 List of those “can’t miss” holiday events in Fort Wayne, Indiana to enjoy with the whole family – in no particular order. 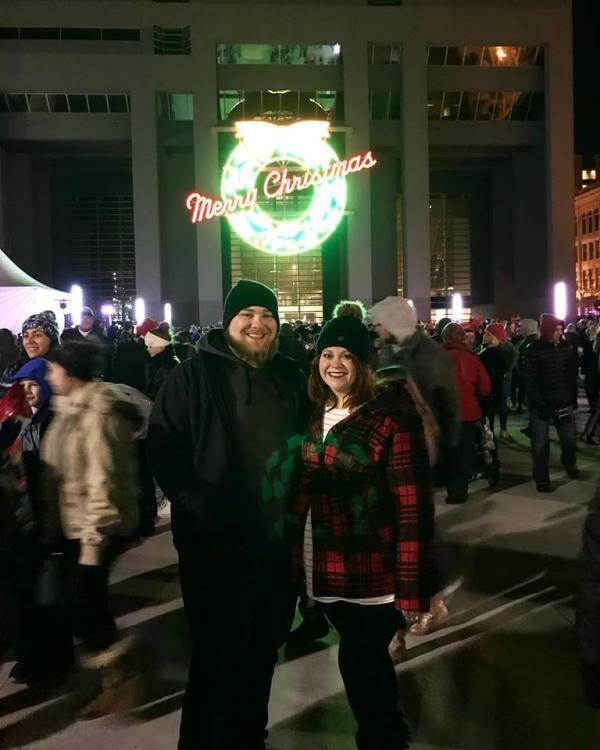 Ok, I know I JUST said these were in no particular order, but if I’m being honest, Downtown Fort Wayne’s Night of Lights is my absolute FAVORITE holiday activity of them all! The Night of Lights festivities serve as the unofficial kickoff to the holiday season in Fort Wayne. Held the evening before Thanksgiving, Night of Lights features some of the most iconic light displays in Northeast Indiana, including the main attraction, Santa and his Reindeer in the side of the PNC building. It also serves as the beginning of Holidayfest. My husband and I made this one of our first traditions when we started dating over nine years ago, and over the years it has become something I look forward to more and more. 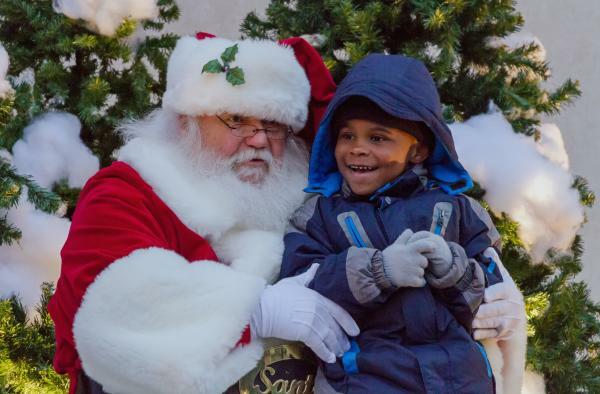 It will be even better having a little one in tow, as beyond the bright colored light displays there are several activities geared toward children including; cookies with Mrs. Claus, Santa’s Workshop, fireworks, and much more! Christmas on Broadway brings the concept of the famed Rockefeller Center tree lighting right here to Fort Wayne. 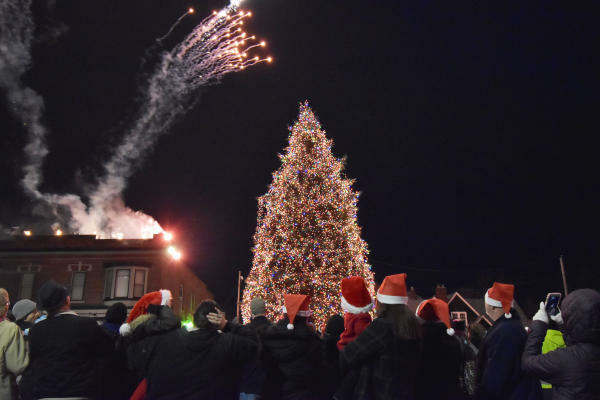 In its 14th year, having grown from a neighborhood gathering to over 4,000 people enjoying the lighting of the tree, Christmas on Broadway has expanded to include activities beyond the tree lighting. The whole family will want to line up to have their photo taken with Santa, ride on the Polar Express, and see a reindeer up close, and in person! 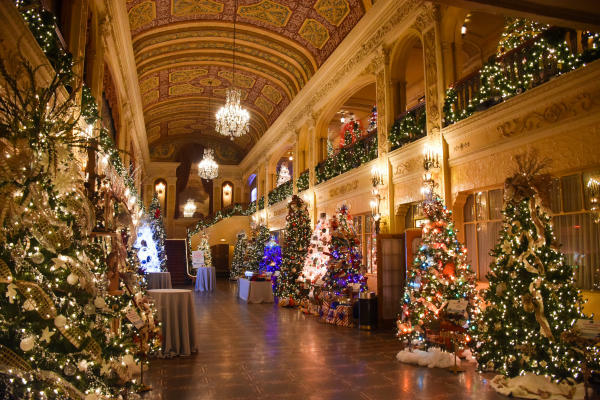 One of the many holiday activities that are a part of Holidayfest, the Embassy Theatre Festival of Trees is an event unlike any other. Scores of local businesses, and organizations, create beautiful and creative trees that are on display throughout the Embassy and attached Indiana Hotel lobby. Each day there are a number of performances from local performers, and activities for children to enjoy while you admire the trees. The Fantasy of Lights is another holiday staple that I always look forward to. 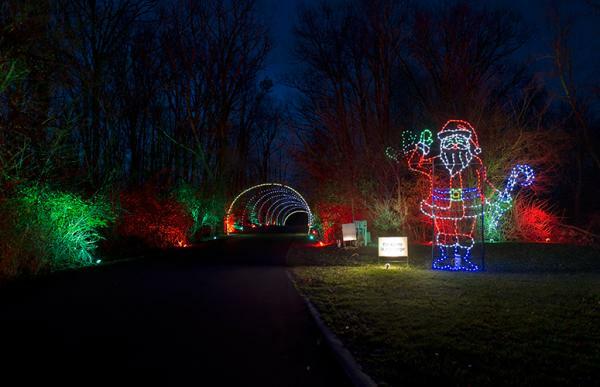 We always take at least one evening to take in the over 120 lighted displays throughout Franke Park – although we have been known to go multiple times throughout the season. As per our own tradition, we like to stop and get a warm beverage on our way to sip on as we take in all of the light displays, drive around town looking at other bright lights after, and swing by a local pizza place (usually Pint and Slice) to grab a pizza on our way home. Blue Jacket has started selling hot chocolate and popcorn to enjoy along the 2-mile route, and even have a “Candy Cane Quiz” to test your knowledge of the displays. Make sure you tune your vehicle’s radio to their designated channel, or at least switch to your favorite holiday playlist to make it all the more fun and festive for everyone! The Festival of Gingerbread at the History Center is often one of the most anticipated events of the holiday season! Local gingerbread creatives submit their icing and gumdrop creations to be judged in the Gingerbread contest, as well as to be seen by the public. 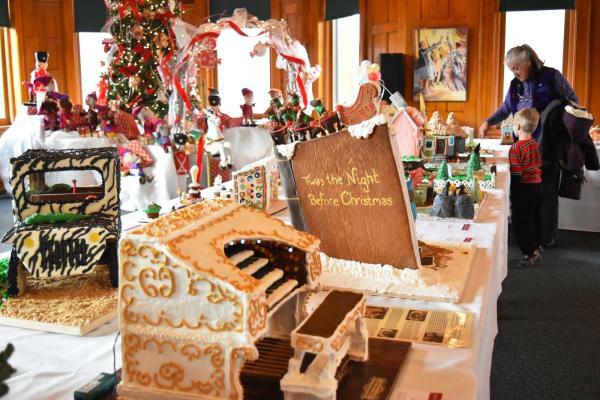 Each year there are over 100 gingerbread submissions, with prizes awarded in a number of competitive categories. Kids will love looking at the colorful, and intricate gingerbread displays, that may make your annual family gingerbread house a little more complex. 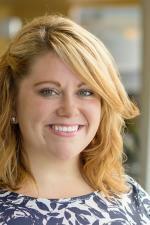 The History Center will also have a number of family-friendly events throughout the holiday season. Who doesn’t enjoy seeing the man in red himself as we countdown to Santa and his Reindeer making their rounds on Christmas Eve? The Foellinger-Freimann Botanical Conservatory will let all of the good little boys and girls (and those who may need a little nudging towards the “good list”) on December 1, 8, and 15 as Santa and his Reindeer stop by the beautiful gardens. Santa and two of his reindeer will be on hand to take photos, as well as take one final listen to everyone’s wish list before stopping by the North Pole before his big night out. The Conservatory is hosting a number of other family-friendly events throughout the holiday season including; extended holiday hours, holiday-themed crafts, Breakfast with Santa, and much more! If you’ve read any of my past blog posts throughout the years, you may have caught on that I’m a fan of Komet hockey. 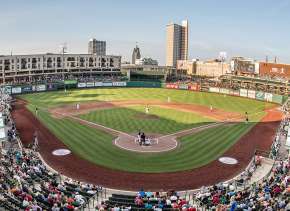 The holidays are a great time to take in a game or two, as the Komets host big games on both Thanksgiving Day, and New Years Eve. The traditional Thanksgiving night game is a great way to wrap up a day of food and family. Load the family up in the car after eating (or recuperating from) your big Thanksgiving meal, and start a new Thanksgiving tradition! My brothers and I have been going to this game with my grandpa for as long as I can remember, and as the years have gone on significant others have joined the fun. 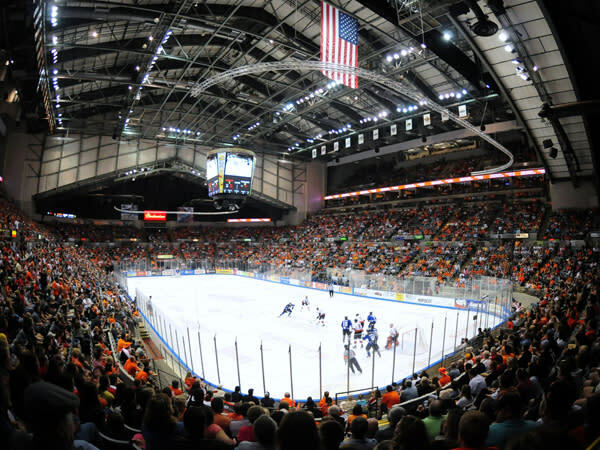 Round out the holidays with the Komets New Years Eve game. This game almost always sells out (so get your tickets now! ), and is a blast for the whole family. The Komets always pass out New Years Eve garb for a festive and fun touch. The best part? The game is over early enough that kids can enjoy it and still be home before the clock strikes 12 for a new year. Not an event, per se, but definitely a must-do during the holiday season! Make an afternoon, or evening of it with the whole family. 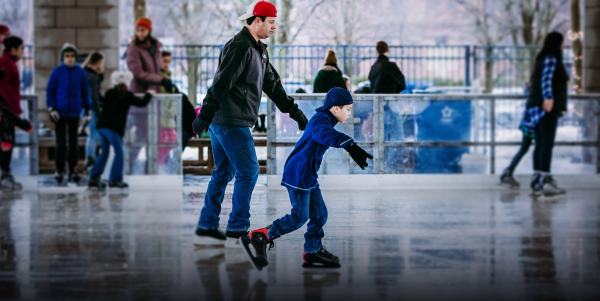 Enjoy skating outside at Headwaters Park, and then take a walk around downtown Fort Wayne enjoying the various light displays, or holiday activities. Finish up by enjoy coneys at Fort Wayne’s Famous Coney Island, and walk down to Sassie Cakes on Broadway for a sweet treat! A classic story, The Nutcracker, as presented by the Fort Wayne Ballet, has become a classic family tradition in Fort Wayne. Adults and kids alike will love the costumes, music, and dance, as the story of Clara and her Christmas Eve journey unfolds on stage. After certain performances, the Fort Wayne Ballet will host a Sugar Plum Party as a chance to meet the dancers and characters, take photos, get autographs, and receive a special Sugar Plum Party gift bag. This is the perfect way to make this holidays performance even more magical for your little ones. Science Central’s Countdown to Noon is a great way for your little ones to usher in the new year without having to stay up past their bedtime. 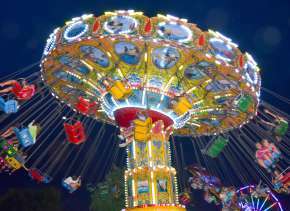 Attendees will be able to ring in 2019 with a variety of activities, culminating in the big balloon drop once the clock strikes noon – spoiler alert: there will be 2,019 this year for the new year! 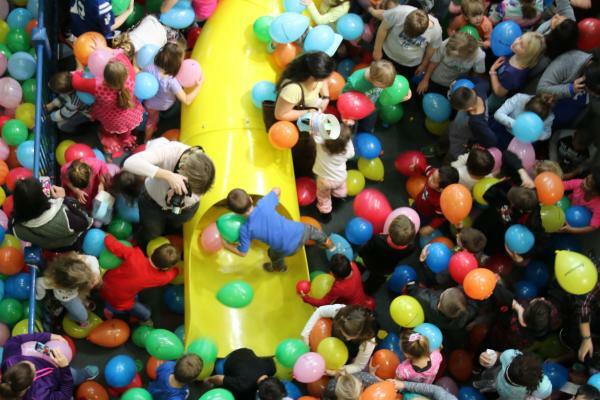 Among the festive activities that Science Central will have, are; face painting, science experiments, party hat making, and, of course, the big balloon drop with a soda pop toast at noon. Science Central will have hours extending past noon for all to enjoy and see the great exhibits they have to offer, including Science on a Sphere! 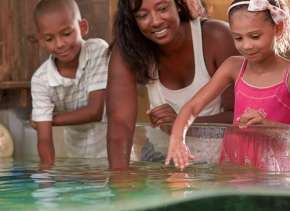 Need more ideas for family fun this holiday season? 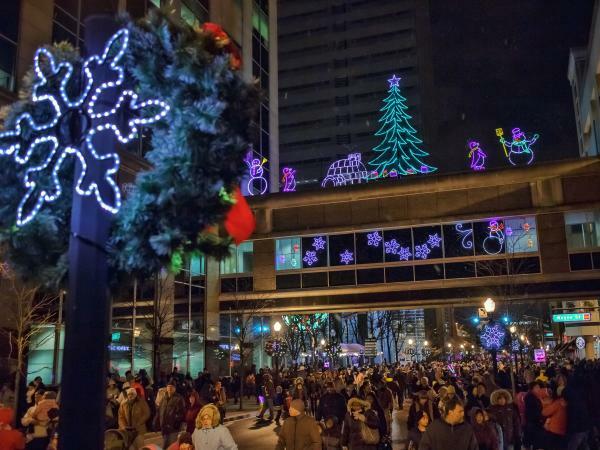 Check out a full list of holiday fun in Fort Wayne here!